The location and number of cold air return vents is so important to the comfort of the homes occupants. 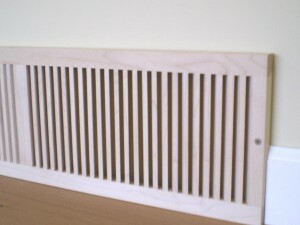 Yet the design and the installation of these vents seems to be haphazard at best in many homes. My own home has two cold air return vents upstairs. There are two vents on the main level for a 2500 square foot home with 4 bedrooms. 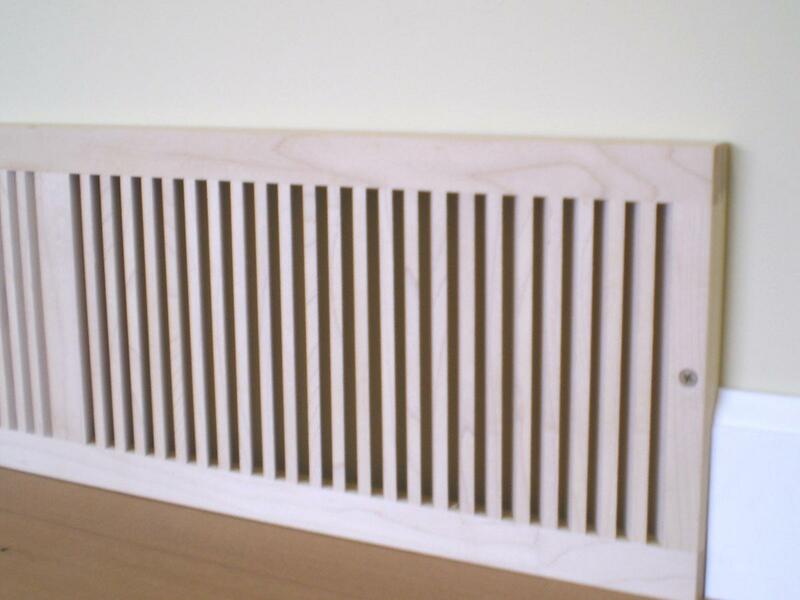 These cold air return vents play a crucial role all year round for heating the home in the winter time and for cooling the home in the summer time. Having sufficient cold air return vents and managing them properly can both make your home more comfortable as well as save you money on heating and cooling costs. Here is more information about them to help you manage your heating and cooling system with cold air return vents. The most important thing is to make sure that they are not blocked in any way. Cold air return vents work on a forced air system. In other words you have a fan on your furnace which forces air through enclosed piping to hot air vents located in every room. It draws air through a enclosed system from every room in your home that has a cold air return vent. As a result the air circulates throughout your home cooling it in the summer time and heating it in the winter time. If there is not a cold air return vent in a bedroom, the door should be left open so that the air can circulate. Three of our bedrooms do not have cold air return vents. These doors must be left open or the rooms will not heat properly and they certainly will not cool off either in the summer. The cold air return vent located in the hallway is the main return for the three bedrooms that do not have have cold air return vents. If you want to save energy, simply shut off the hot air vents and close the doors to keep these rooms from being heated or cooled depending on the season. Never do this in a bathroom as the water pipes might freeze in the winter time causing the pipes to split and lots of water damage. The same applies on our main level. There are actually two cold air return vents in tandem at each location. One is located at floor level and the other is located at the ceiling level. In the summer time hot air rises and and is sucked through the ceiling vent, while in the winter time cold air falls and is sucked in through the floor vent. It is important to shut off the cold air return vent that is not being used. For example, shutting off the vent at the floor level during summer time will ensure that all of the hot air is drawn off the ceiling to cool the room quickly. If you can’t install a cold air duct back to the furnace from each room, you can sometimes fake it. You can install a cold air return register above the door from each room that connects to the hallway. The air flows through these openings from each room. The air flows across the ceiling in the hallway towards a larger cold air return that does extend to the basement furnace. This will work well for rooms that do not have a cold air return vent. Homes with basements often find that they are very cold in the winter time. Usually this is because there is no cold air return vents installed in these rooms. Add cold air return vents at the floor level to draw off the cold air . You will see a significant difference in the temperature of the room. There never seems to be enough vents in new homes. Basically they cut back on the number of vents to reduce costs. However if air is forced into a room it must have somewhere to go. A cold air return vent in every room, would ensure that these rooms would all be heated properly. Air distribution in the winter and in the summer would improve. Air also meets resistance and will take the easiest route. Many people find that rooms close to the furnace will be the hottest and coolest. Shutting off the return registers in these rooms will force the air to go to other rooms. Both cool and hot air will provide a more even heat around the home. We appreciate comments on this post. Add your ideas about saving money as well as how to manage cold air return vents. Feel free to leave a comment to assist our readers.